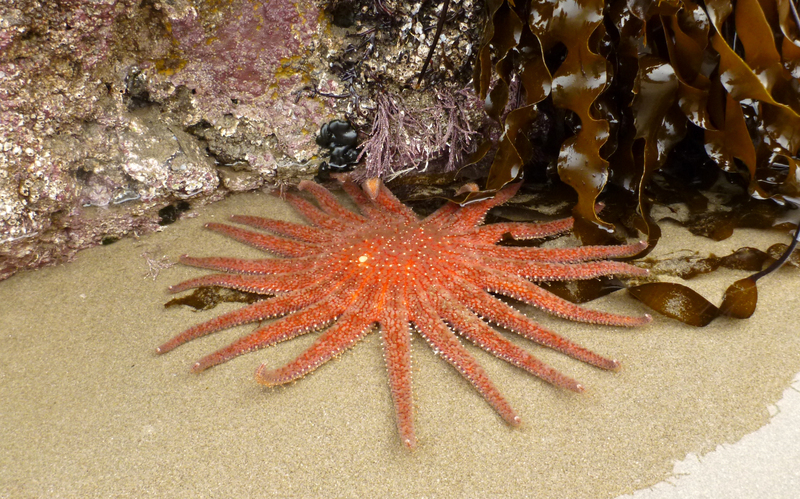 This image appeared in Sunflower Star, Pycnopodia helianthoides. From And the King of the Surf is… this photo conveys the attitude of a feisty male redtail all full of erect fins and colorful bronze bars. If you want to see a prime adult male redtail, this is it. This photo was featured in Shows. What a beautiful little snail. 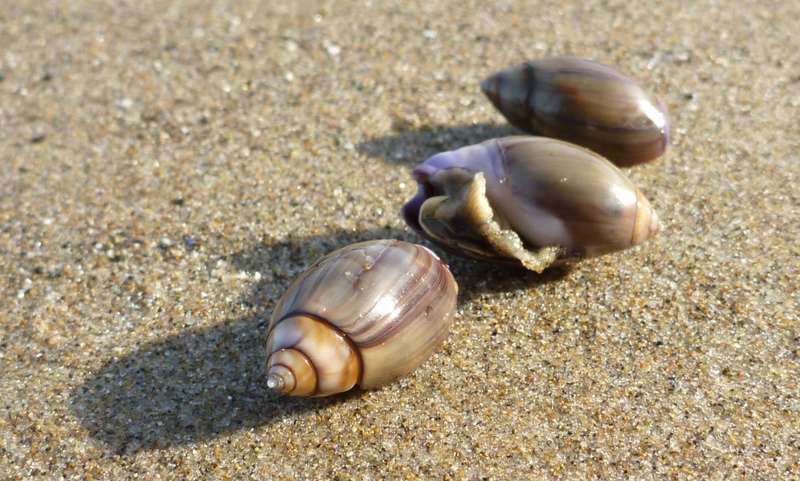 I am drawn to this image because it reminds me of the eight months that elapsed between me making the decision to find and photograph this snail and actually accomplishing it. From Barnacles On Top of Barnacles. 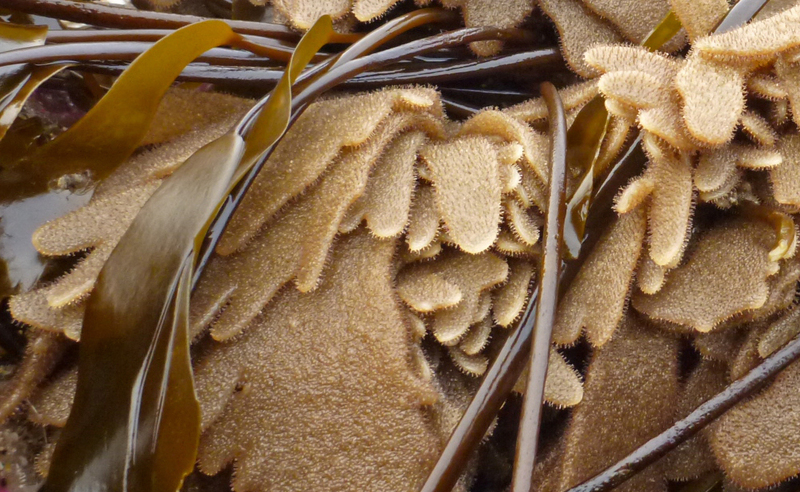 Thatched barnacles are said to look like miniature haystacks and these certainly do. 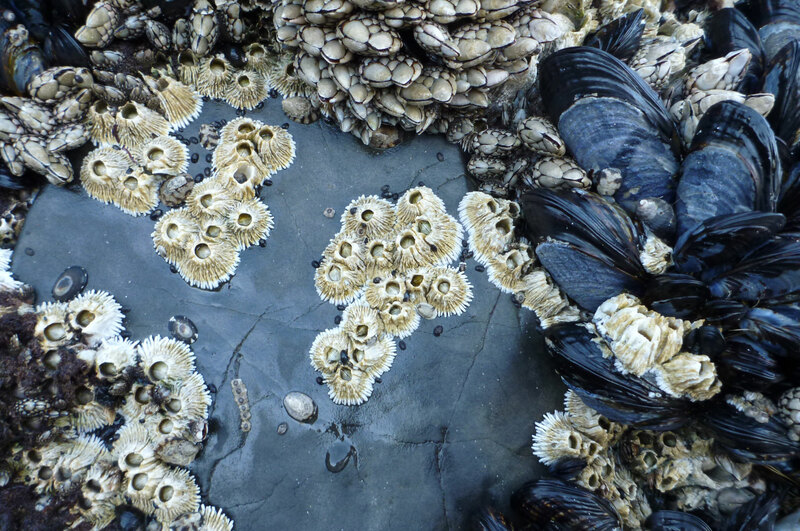 Besides thatched barnacles, you can also see goose barnacles, limpets, and an intriguing string of what may be six little brown barnacles in the lower left portion of the photo. 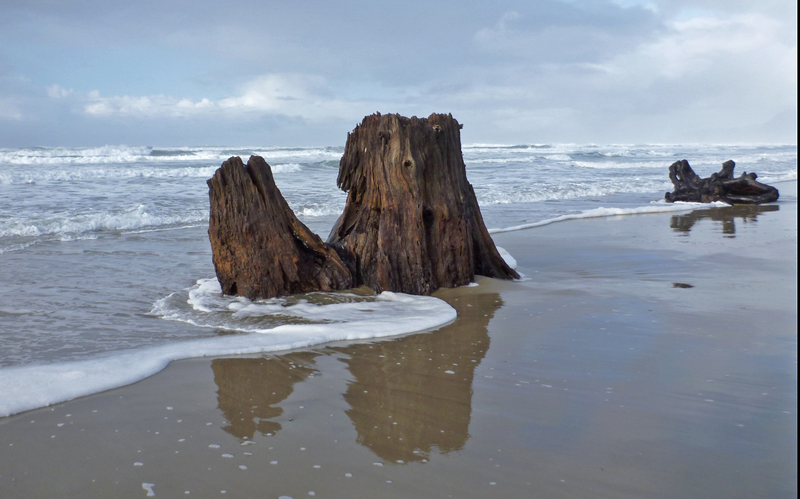 From In the Mirror, this huge stump has for years been a familiar landmark on one of my favorite beaches. I like the swirling sea foam around the base and the reflection of my old friend on the wet sand. 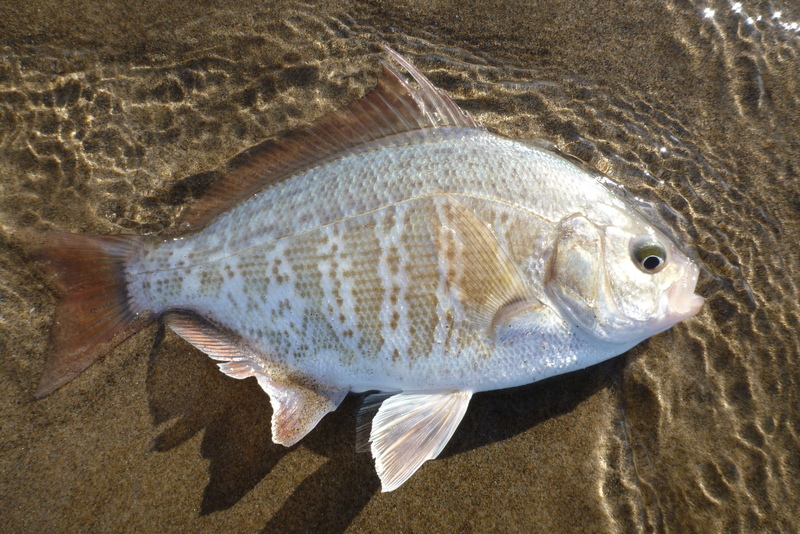 This is the first photo I took of Flustrellidra corniculata. I had seen a clump previously, in the wrackline, but failed to take a photograph and I didn’t even know it was a bryozoan. The question of what it was haunted me for months. I posted this photo in Flustrellidra corniculata, a Bryozoan shortly after discovering and photographing this attached clump. 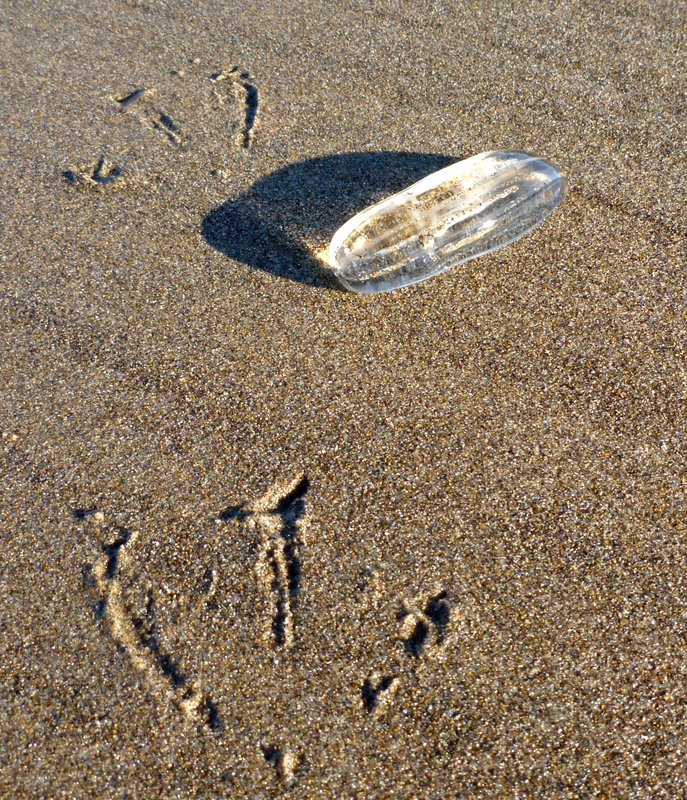 One morning the beach was awash in comb jellies, mostly sea gooseberries, Pleurobranchia bachei. When I posted this image in Comb Jellies, my best guess was that this one was Beroe, but there are other possibilities. I hope someone will help me with the identification of this beauty. 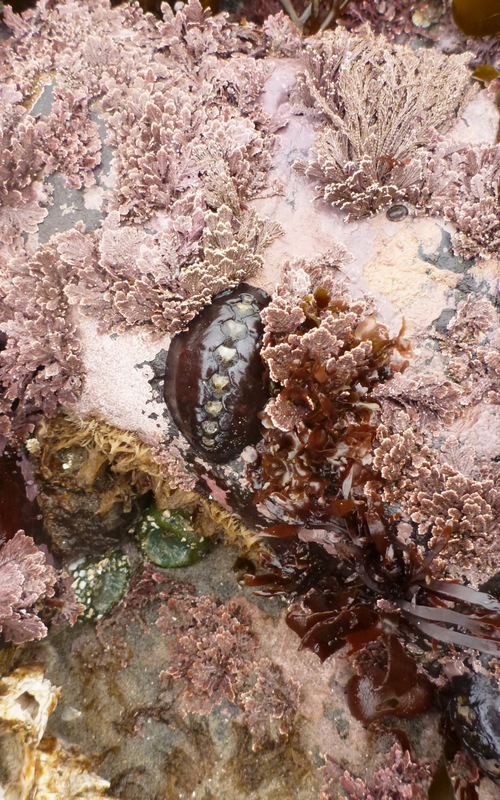 This photo of a chiton in a lovely algal garden appeared in Black Leather Chiton, Katharina tunicata. A miniature underwater forest in a low tide pool. 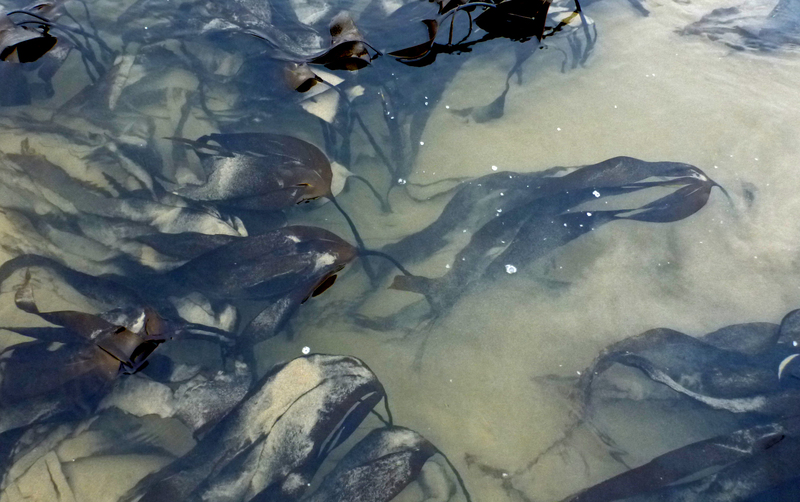 This image of Laminaria setchellii appeared in Seaweeds in the Sand. Thanks a lot for dropping by theoutershores in 2013. I hope to see you again in 2014. Lovely photos and congratulations on your first full year. Over the course of working on my next piece, I think I’ve discovered why I am drawn to your blog. Hope you keep it up! Thanks Isaac, coming from you that means a lot.